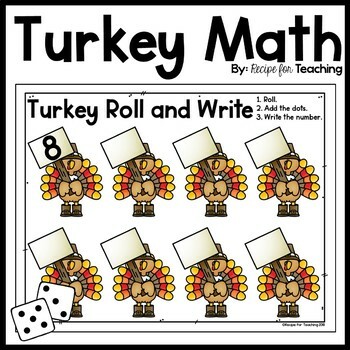 *Turkey Roll and Write - Students roll two dot cubes, add the dots, and write the number on the turkey's sign. 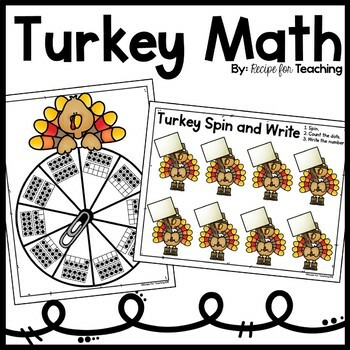 *Turkey Spin and Write - Students spin the 11-20 ten frame spinner, count the dots (or use subitizing skills to instantly recognize the amount), and write the number on the turkey's sign. Students can play these games independently or with a partner. 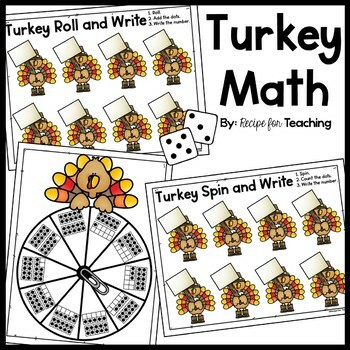 These games are a great addition to a math station. •	Look for the green star next to my store logo and click it to become a follower. You will now receive email updates about my store. Thanks for following along!